The Jerusalem City Council agreed to fund two organizations affiliated with the Reform Movement of National Religious objections. 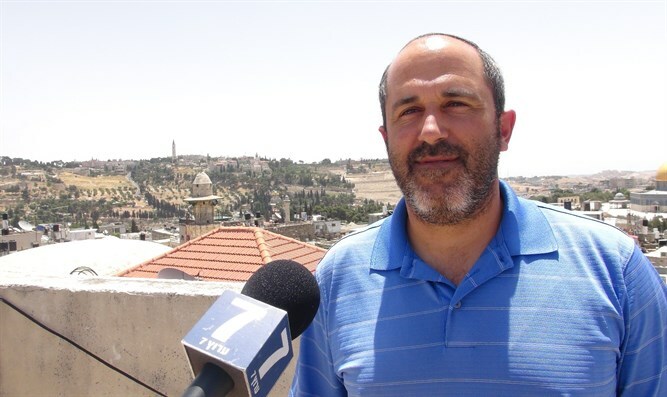 Jerusalem City Councilman Aryeh King criticized the City Council's decision to allocate funds to organizations affiliated with the Reform Movement in an interview with Arutz Sheva Wednesday evening. "The City Council approved by a vote of 12-11 the allocation of funds to two organizations." King said. "The first organization is a secular yeshiva which partners with Reform organizations and is even worse than the Reform. Anyone who goes on the website of the other organization, 'Elul,' can tell that it partners with the Reform." "It pains me that those who are supposed to represent the National Religious population of Jerusalem were absent from the vote." King continued. "The mayor has again managed to advance terrible things,such as the march of the Christians during the Sukkot [holiday]. Time and again the Deputy Mayor, Hagit Moshe, takes the side of the mayor when he acts against the Religious Zionist [community]." Another Deputy mayor of Jerusalem, Dov Kalmanovich, expressed concern that the Religious Zionist community is losing its will to stand up to the Reform Movement. "I have recently felt a weakening in our camp around this struggle, and some even tacitly support the 'pluralism'" of accepting the Reform Movement. He said that the rabbis he had spoken to had all opposed the funding of the secular yeshiva. Rabbi Aryeh Stern, the Ashkenazi Chief Rabbi of Jerusalem, responded that the city could not fund the yeshiva due to its practice of holding civil marriages and other actions contrary to halakha. He added that the 'Elul' organization could receive funding if it agreed to avoid cooperating with the Reform Movement in the future."